The NVR-RU-4G from Dotworkz is a Ram Upgrade Server with 4GB Space. The Video processing requires high performance computing equipment to support digital image recording and playback. The NVR-RU-4G is industrial strength commercial server, boasting world-class technology at affordable prices. NVR-RU-4G offers the perfect blend of features, performance and data storage simplicity, with remote management flexibility and control. NVR-RU-4G video servers are expandable, upgradeable and available in multiple configurations. 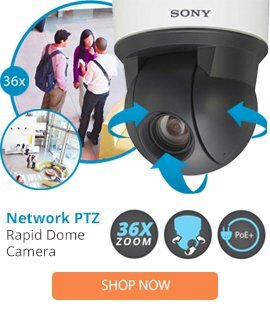 The NVR-RU-4G is pre configured with the software solution of your choice and when combined with some of the industries most powerful network cameras, unrivaled multi-camera monitoring and recording is at your fingertips, giving you dynamic control with unlimited viewing possibilities to provide powerful, end-to-end, multi-camera IP video monitoring systems.